Can the perplexed teenager Holden Caulfield in “The Catcher in the Rye” or the Finch siblings in “To Kill a Mocking Bird” or the scandalous Anna Karenina of the eponymous novel help people cope with mental or emotional problems? 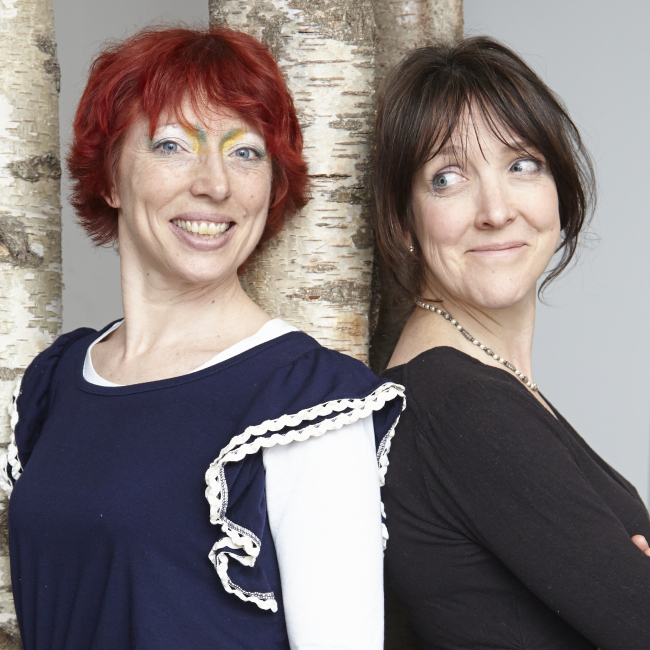 The answer is yes for the bibliotherapists Ella Berthoud and Susan Elderkin, who believe that suitable fiction can heal, inspire and transform readers and provide new life perspectives. Bibliotherapists prescribe novels instead of medicine or counseling to cure life’s ailments. The book doctors have been prescribing “Anna Karenina” by Leo Tolstoy for toothache, “Rebecca” by Daphne du Maurier for low self-esteem and “The Price of Salt” by Patricia Highsmith for lovesickness. Novels can help us better understand human nature, Elderkin said in an interview with The Korea Herald last week. The two are visiting Korea for the first time to participate in an international conference titled “Storytelling: Trauma, Healing and Pedagogy” and a three-day workshop, all hosted by the Brain Korea 21 PLUS project group at Chung-Ang University in Seoul. Their belief in the curative powers of the novel dates back to their college days, when as English literature majors Berthoud and Elderkin lived in adjacent dorm rooms at Cambridge University. They would prescribe each other books when one of them had problems ― whether a romantic issue, uncertainty about their career path or writer’s block. “If one of us was going through the ‘I hate men’ phase, we would give each other ‘Women’ by Charles Bukowski, which makes you hate men even more,” Elderkin said. “It didn’t work,” Berthoud said with a smile. Since then, writer and journalist Elderkin and painter Berthoud have recommended books to each other and to family and friends. In 2008, they started using the word “prescription” when recommending books and began practicing at The School of Life in London, set up by renowned philosopher and writer Alain de Botton. Each session lasts approximately 40 minutes, either in-person or remotely via phone or Skype. Before a session, clients are required to fill in a questionnaire on their reading tastes, where they are at in their lives and their preoccupations. The bibliotherapists do not prescribe books during the session. Instead, they reflect on their choices for a few hours or a couple of days, depending on the client. And then the prescription of eight books is delivered to the clients, followed by an explanation of their selection. Their patients have included people with severe psychological problems such as schizophrenia or bipolar disease. “In those instances, we can help, but tell them to go see a psychiatrist if they have not already,” Berthoud said. They don’t consider themselves to be psychotherapists. “We are not medically trained, all our knowledge is from reading literature,” Berthoud said. With the prescription of books, there is also a little section called dosage, which includes precautions and other recommendations. “We recommend to normally grab every available moment to read,” Elderkin said. But she is well aware that in this era of smartphones, focusing purely on reading sounds anachronistic to some and requires much effort. “We do advocate people turn off their Wi-Fi, ideally once a week, on a Saturday afternoon, for two hours or so while reading,” Berthoud said. “Even the whole weekend, why not?” Elderkin said. They also encourage people to use reading devices such as a Kindle or an iPad, or listen to an audiobook. “We are both lovers of the physical books, you can write on it, you can smell it and see it on the bookshelf,” Elderkin said. “But reading on the devices is better than not reading at all. Elderkin admitted that it was difficult for them as well. They both have children and are trying to be wives, mothers and career women at the same time. “We once advised mothers of young children to lock themselves in the toilet, and read for three minutes,” Elderkin said with a smile. 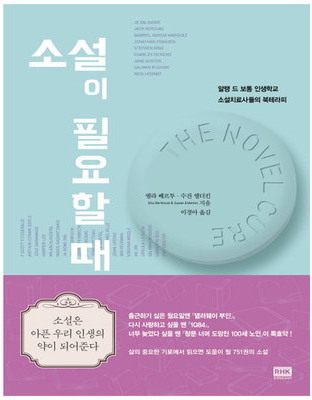 They have compiled the results of all their therapeutic sessions into an extensive book entitled “The Novel Cure.” It was published last year and translated into Korean this year. The book introduces 751 novels that can serve as remedies for both physical and emotional symptoms. “Our apothecary contains Balzacian balms and Tolstoyan tourniquets, the salves of Saramago and the purges of Perec and Proust,” they write in the book. When asked about a good cure for Korean people living in a hypercompetitive society, the book doctors recommended “Life: A User’s Manual” by Georges Perec. They are now working on a book on children, slated for release in 2016. The book is addressed to adults with children in their lives, such as parents or teachers. The topics include tantrums and bed-wetting, refusing to eat your peas, first love and having to wear braces. The book on children will be more serious than their first book, they said. “You can’t tease when it comes to children, but you can tease the parents a bit,” said Elderkin, who believes that the book will enable people to explore difficult issues related to children more practically and casually.